Parts of this post uses text from an earlier Corvair post. I really like Corvairs. I had a bunch in high school and for a few years after. My first one was a 1965 Monza convertible. I bought it after my very first car, an Opel Kadett wagon, was t-boned in the parking lot of a Chinese restaurant. The Monza was red. It had a 110 HP engine and a 4 speed manual transmission. I paid $50.00 for it. Seriously. 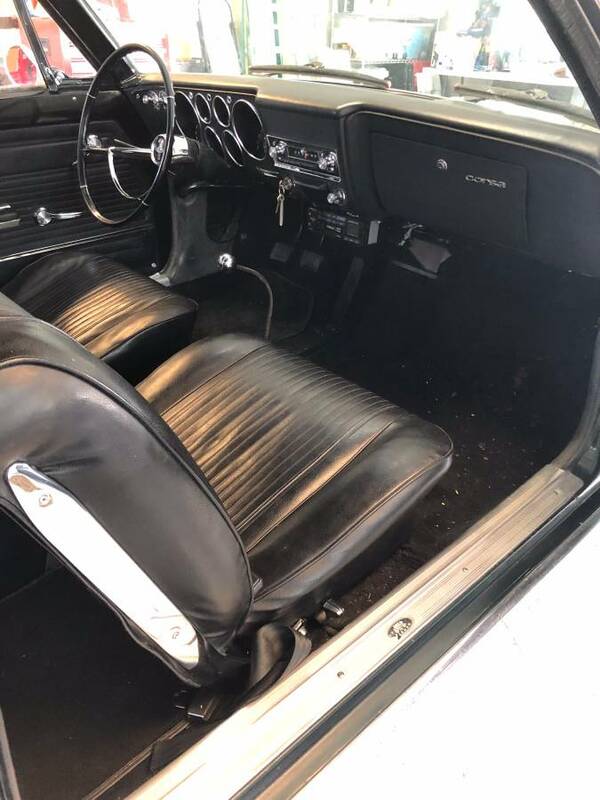 In 1974, Corvairs in general were worthless and this one leaked oil and smoked. Most Corviars back then smoked and leaked oil. The problem was the push rod tube o-rings. I drove it like that for a week or so, figuring that I'd take it off the road for a few days and do the o-rings myself. (I wasn't sure where I was going to do this, as my dad wouldn't let me park it in the driveway because of the oil leak.) 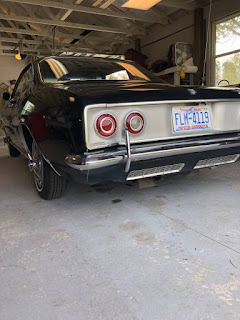 A couple of days after I bought it, I ran into a fellow Corvair driver. 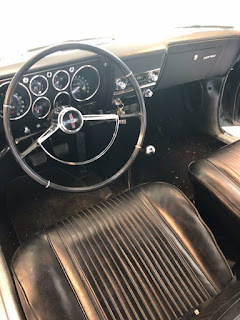 (Back then you had two types of Corvair owners: Those who loved their cars - like this guy - and would pass along any knowledge they had that might help you, and those who hated their car and only bought it because it was cheap.) He told me not to buy the original replacement o-rings from Chevy. He said I should get Teflon o-rings. I asked where I could get them. He told me about a place called G&L Motor Service in Kings Park, NY. "They can get them," he said. "They can do the job, too. You don't want to do it yourself." I bought it in the spring and drove it all summer. I only put the (electric!) top up when it rained. 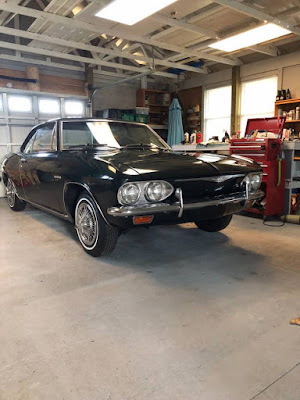 I learned about turbo-lag (measured in days in a Corvair Corsa) and got my first speeding ticket with it. My Turbo Corsa - with its turbocharged flat 6 engine - would blow off and out-handle any 4 cylinder sports car from Germany, England or Italy. It was quicker than a Big Healey. (I know this for a fact. ;-) ) When the turbo kicked in you you could keep up with, or beat, just about anything with less than 8 cylinders. In early fall I brought it to G&L for some work. I left it overnight. When I came to pick it up I was told a doctor had stopped by the shop and was admiring it. He wanted to know if I would sell it. I said I would, but I wouldn't take a dime less than $750.00. The doctor didn't blink at the price and the deal was done. For $300.00, I replaced it with a beautiful white 1968 convertible that someone had dropped a 140 engine in. The '68 vert was a wonderful car and maybe even a better daily driver then the turbo, but I still (40+ years later) regret that decision. The Turbo Corsa was special. This car is a Turbo Corsa, although it's a hardtop. Everything that made my convertible a great car to drive is there. It might even be a little more fun to drive as it probably has less body flex. It's painted Cypress Green, which is an uncommon color. The seller say is has 54K miles on it. He writes that "all mechanical systems are in excellent working order." He says he has a "detailed" history available to potential buyers. 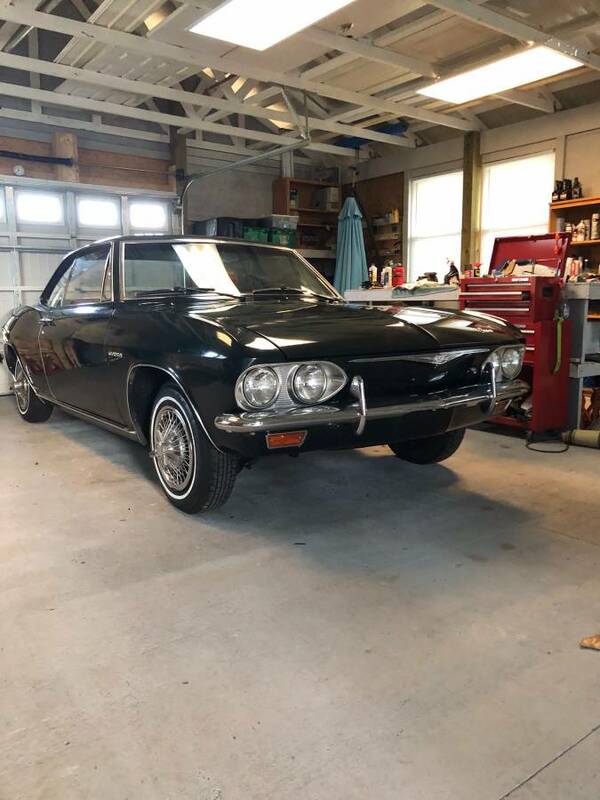 All-in-all this apprears to be a very nice Corvair Turbo Corsa. The asking price is $9500.00. That's $9000.00 more then I paid for mine 40+ years ago, but in my mind its still a genuine bargain. 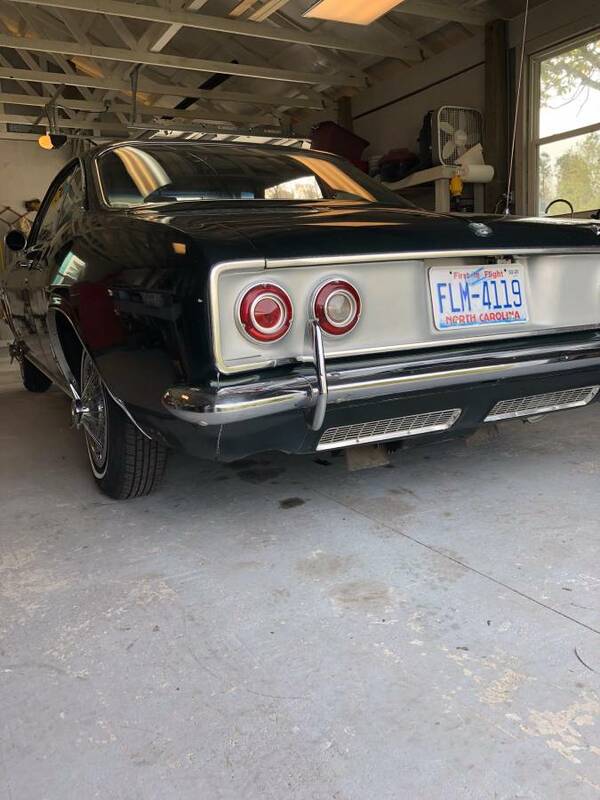 Located in Wilmington, NC, click here to see the Craigslist ad. P.S. I also owned a 1962 500 wagon. 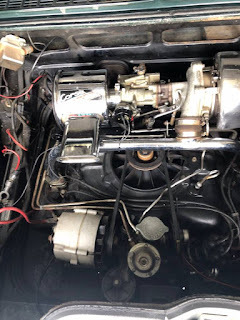 I put a 140 engine in it, a Spyder dash and front bucket seats from a Monza sedan. I was about to send it out to be painted when some *!#$* stole it. They drove it for a little while and then drove it or pushed it into a lake. 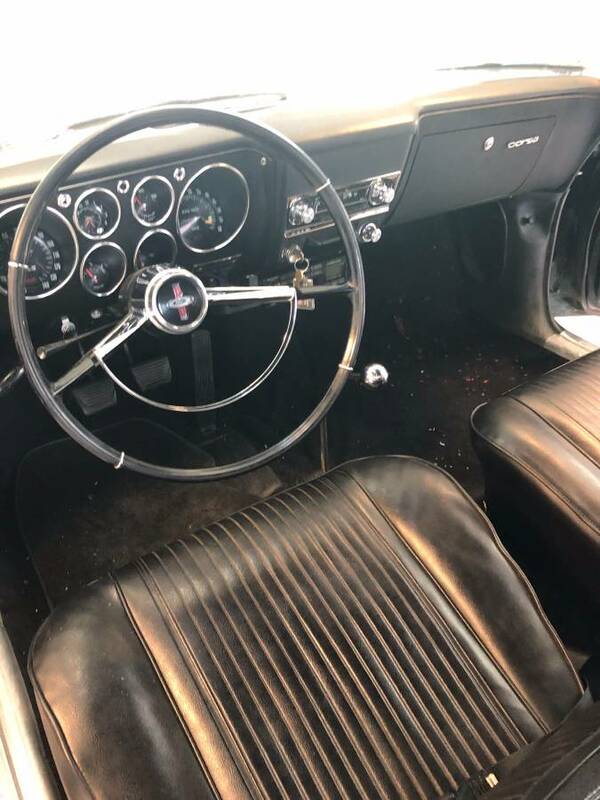 I also owned 1964 Monza convertible. It had a 110 HP engine and a 2 speed Powerglide transmission. I don't remember why I bought it or what happened to it. I was just about to comment on how tacky those wheel covers look, but some quick Googling reveals that they might be factory correct! 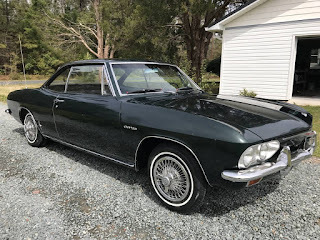 Normally, I prefer stock, but in this case, I'd probably still want to find some Chevy Rally wheels from a Camaro for this Corvair.